Gilbane offers specialized school construction experience having built over 20 million square feet of K-12 space in the past five years. Gilbane served as general contractor for Katy Independent School District on the new high school #8, Patricia E. Paetow High School. 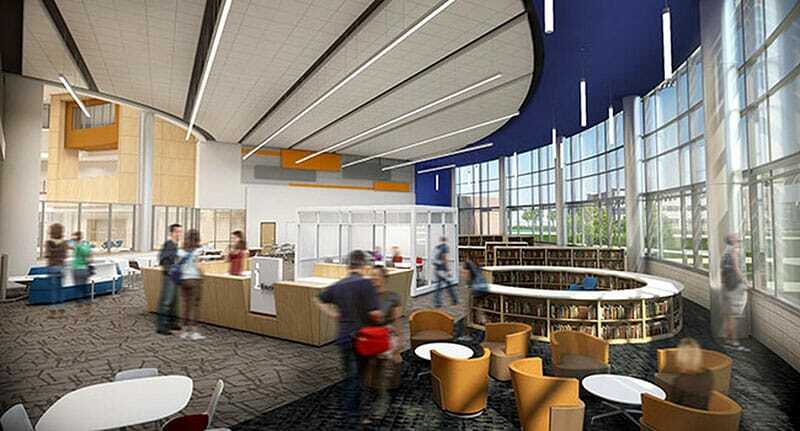 A modified prototype design was utilized giving the school a fresh look while adding additional modern educational facilities for a 21st century learning environment. The 3-story high school is located on a 147-acre campus. The school contains impressive features for specialized student learning and activities. 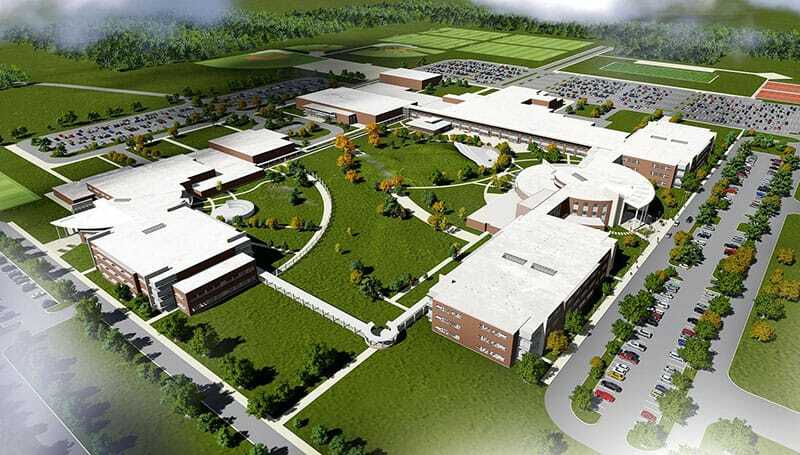 It contains classrooms supporting CTE, science labs, collaboration spaces, two dining commons, a performing arts center, four gymnasiums, a natatorium and competition baseball, softball, football and track facilities. All science labs and some CTE program spaces are located on the third level. 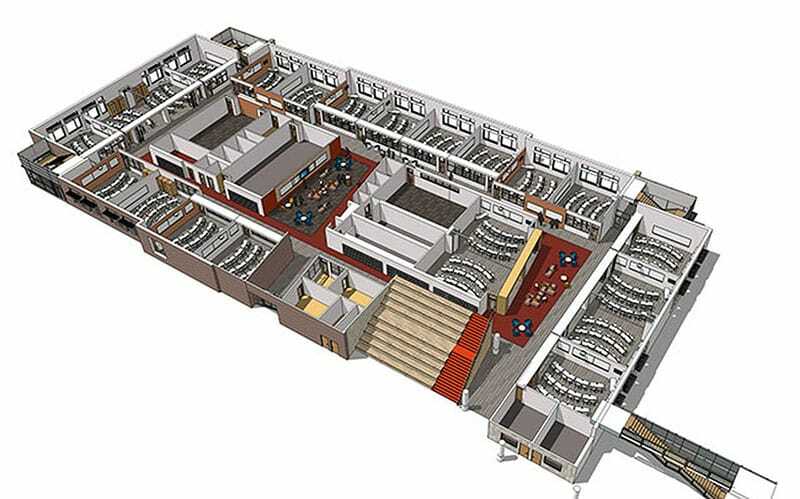 The administration offices, learning commons, performing arts center, separate dining commons, kitchen, physical education, CTE spaces, fine arts and other support spaces are located on the first floor. Outdoor facilities are in close proximity with parking. Located optimally for multiple concurrent events, the high school parking lot is located adjacent to the stadium, tennis courts, ball fields with nearby access to competition gymnasium and the performing arts center. Fueled by technological advancements and a belief that classrooms should be more interactive to mirror the workplaces of today and the future, designers have been more creative in designing schools to help pursue this educational ambition. Features such as agile learning spaces with interactive white boards and mobile furniture that can be moved to create a variety of settings have been identified by principals and educators as beneficial in meeting today’s changing needs of education. To meet the growing demand for Career and Technology Education courses, additional lab space was incorporated. Science labs were scrutinized and adjusted to allow for the most efficient use of space, to meet safety requirements and to have ample access to power, water and technology. 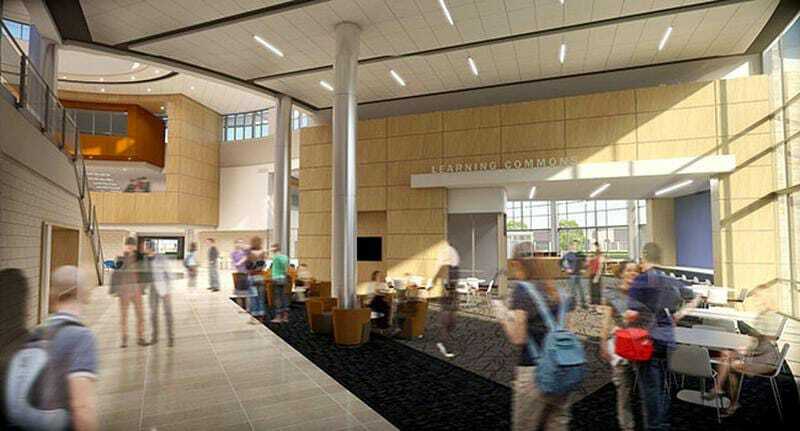 The use of direct and indirect daylight into learning spaces has been maximized throughout the design. To meet the needs of a generation of students who naturally rely on technology, additional charging stations for mobile devices are prevalent. As effective learning spaces, the classrooms are not designed for students to just sit and pay attention. Rather, they have evolved into an interactive, multi-functional space facilitating a variety of learning applications. The ability to combine classrooms into larger learning spaces allows teachers to differentiate learning into a variety of collaborative groups for more interactive activities. Paetow High School was fortunate to sustain only minimal damage from Hurricane Harvey. However, some parts of the Katy Independent School District were severely impacted by the storm requiring entire schools to temporarily relocate. As such, in a matter of a few days, one wing of Paetow High School was modified by bringing in appropriate furniture to accommodate one of the district’s elementary schools. This was accomplished allowing Bear Creek Elementary to temporarily house students until students and staff could safely occupy their campus.